← So, ARE there limits to evolution? To mark Darwin Day 2015, which falls around Charles Darwin’s birthday (12th February) each year, we’re flagging up a marvellous creature that he particularly admired for its many strange characteristics: the barnacle. 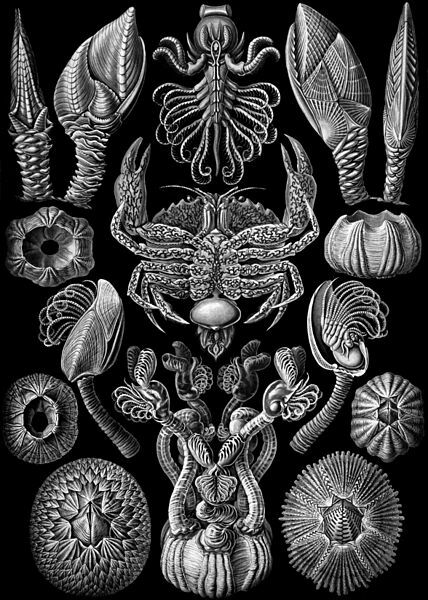 Naturally, the barnacle shows a host of notable convergences! Convergence of shell plate material, which is phosphatic rather than the typical calcareous composition, with lamellar bone structure. Reduction of the abdomen (posterior region) of the barnacle body to a vestigial state by the same genetic regulatory changes that underly loss of abdomen segments in other arthropods, for example in the mites Tetranychus urticae and Archegozetes longesitosus. For more on convergent evolution in this and other crustaceans, head over to explore crustacean convergence at the Map of Life. This entry was posted in Convergence, Events and tagged barnacles, Charles Darwin, Darwin Day. Bookmark the permalink.